Debra Carpenter brings exceptional leadership and strategic planning abilities to the insurance, financial advisor marketplace with her knowledge of disability and long term care plan designs. Debra works closely with business and professional advisory teams in designing and implementing programs to address the needs of business and professional clients during the wealth accumulation years, to include income protection , salary continuation, business/professional overhead expense as well as disability buy-sell funding for business and professional clients. 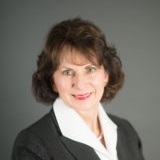 Additionally, Debra’s expertise also includes an in depth knowledge of long term care planning for individual, corporate and professional clientele. Her knowledge extends beyond the traditional stand-alone long term care programs and includes the alternatives linked (hybrid) programs available today. Debra is the recipient of the 2006 “Hall of Fame Member of the Year Award” from NAIFA DuPage and 2001 Huebner Scholar Award Recipient. Criteria for the awards include substantial contributions to the profession of insurance underwriting with specific emphasis on contributions to the Greater Chicago of the Society of Financial Service Professionals, and to the insurance profession. Debra served as President of NAIFA DuPage 1994-1995 and President of the Greater Chicago Chapter of the SFSP 2000-2001. Debra is a graduate of the University of Michigan, Ann Arbor, Michigan from the School of Liberal Arts. Debra is not affiliated with The O.N. Equity Sales Company or O.N. Investment Management Company.